TT Unified Teachers Association (TTUTA) Tobago officer Orlando Kerr is calling on the Tobago House of Assembly (THA) Division of Education, Innovation and Energy to address indiscipline, bullying and violence at schools across the island. Kerr was speaking of Wednesday’s melee at the Signal Hill Secondary School, after which 17-year-old Jaden Pereira had to be flown to the Port of Spain General Hospital with serious head injuries. Though sources are still tight-lipped, Newsday Tobago understands that on Wednesday, Pereira, a form five student, was hit unconscious with a concrete block by another student. The incident was said to have taken place while four boys were gambling at the school. Pereira was taken to the Scarborough General Hospital by ambulance and later airlifted to Trinidad. According to a television report, Stacy Pereira, mother of the injured Jaden, said she cannot bear to see her son in his current condition. Police are investigating. A video of the incident has gone viral on social media. 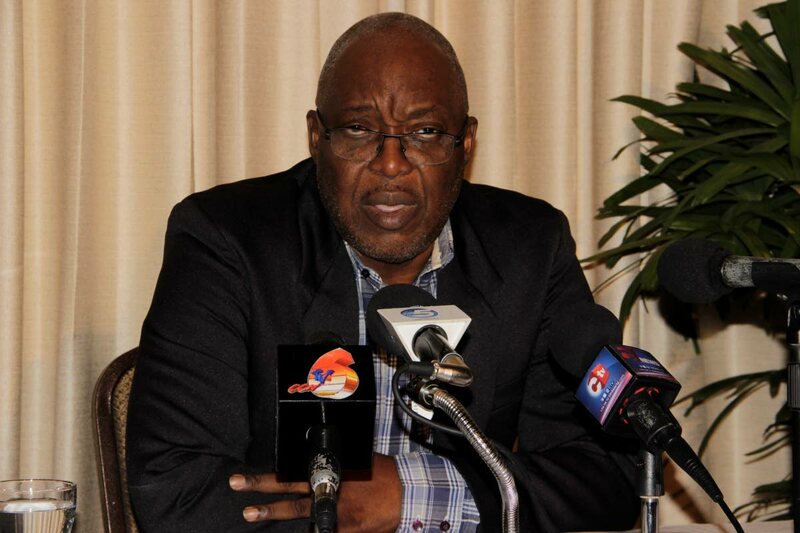 Kerr, speaking with Newsday Tobago by telephone, said he wants the division to be proactive in dealing with fighting in schools, rather than being reactive. Kerr recalled a recent incident at the Mason Hall Secondary School, and asked, "Are we going to wait until a student is killed?" As recently as Monday, he said, "I was at the Mason Hall Secondary School, where they had an incident of a scratch bomb. As everybody knows now, scratch bombs are dangerous. A teacher was in a classroom and a student threw a scratch bomb into the classroom. "So these are things that we are faced with and we don’t want to wait until someone is seriously injured or even dead before we start dealing with this issue and that is all we are saying. Kerr said officials at the division need to understand how to treat with students who are showing insubordination. The THA Chief Secretary, who holds the portfolio of Secretary of Education, Innovation and Energy, Kelvin Charles and Assistant Secretary Marisha Osmond could not be reached for comment, as calls to their cellphones went unanswered. However, minutes later, a press release from the Office of the Chief Secretary said the division strongly condemned the incident. It said schools supervisor Sherry-Anne Hackett confirmed Pereira had surgery at the PoSGH on Wednesday night and is under observation. It quoted Charles as saying incidents such as these will not be tolerated at the island’s schools and will be taken very seriously. “Our schools are supposed to be safe havens for learning. Incidents such as these are totally unacceptable, and all necessary actions will be taken to ensure that there is fair justice. It is extremely sad that parents now have to worry about their children’s safety, when they have sent them to gain an education,” the release read. Reply to "Signal Hill student knocked unconscious with brick"